Ring News 24Boxing News Breaking Boxing NewsWill retired Nathan Cleverly, 30, return in 2018? Will retired Nathan Cleverly, 30, return in 2018? 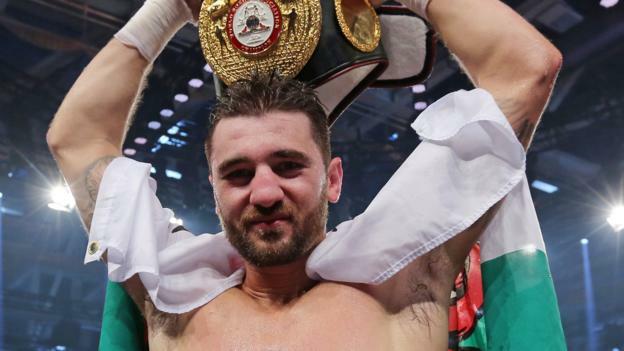 Despite announcing his retirement after losing his WBA light-heavyweight strap to Badou Jack on the big Floyd Mayweather-Conor McGregor undercard last year, Nathan Cleverly could be poised for a ring return in 2018. Reports suggested that Cleverly picked up only $100,000 for defending that title, while Jack pocketed a tasty $750,000 for challenging. “I’ve lived it and loved every second of this sport. A few too many miles on the clock. Time to say goodbye. Thank you and goodbye boxing,” Cleverly wrote, after the bout. Despite that announcement the talented Maths graduate could possibly be lured back to the ring to continue a career that began in 2005. The rematch took place on a November 2014 Sky Sports Pay-Per-View and was a dire spectacle for any paying customer to digest. Cleverly appeared to suffer an arm injury and was unable to sufficiently pull the trigger at vital moments, allowing a similarly lacklustre Bellew to do just enough to exact rematch revenge. Defeat to Bellew still did not draw the curtain on Cleverly’s career, however, as Matchroom supremo Hearn plotted another title run, back down at light-heavyweight. A stirring loss to all-action Pole Andrzej Fonfara in Chicago excited the American audience enough to suggest that Nathan still had something to offer at a decent level. Travelling to Germany does not carry the same stigma these days and Cleverly was then happy to engage with Juergen Braehmer in 2016 for the same WBA belt that he subsequently lost to Jack. Southpaw Braehmer is a talented fighter but temperamental, having spent time in jail during a volatile career and despite doing reasonably well in the opening stages he quit midway through the contest, when the going got tough, citing an injury. If Cleverly were to return in 2018 then where could he fit into the title picture? Making waves in the light-heavyweight division at world level would appear to be an uphill task for Nathan, particularly in his currently depleted state after a long and tough career. Artur Beterbiev holds the IBF world title, Adonis Stevenson the WBC and former Cleverly conqueror Kovalev the WBO. Dmitry Bivol is making moves along the WBA route, but the running theme with all of these fighters is that they are massive punchers. Would Cleverly be interested in competing at European level or even British level? The former possibly, the latter extremely unlikely. Heavy-hitting Anthony Yarde is on the scene but he is promoted by Frank Warren so would be unavailable for a Matchroom fighter. Personally, I’d like to see Cleverly remain retired but ultimately he will have to have a good think about whether there is more mileage left for him to call upon, in the toughest of sports.